green cut through to clear, 9in (23cm) high approx. with gilding by Jules Barbe, acid etched mark to base. 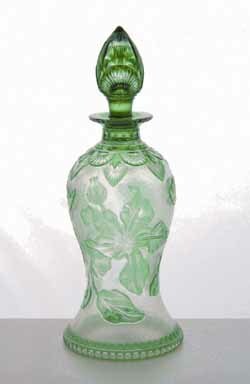 See Hajdamach, British Glass, p 449. For mark see next image. 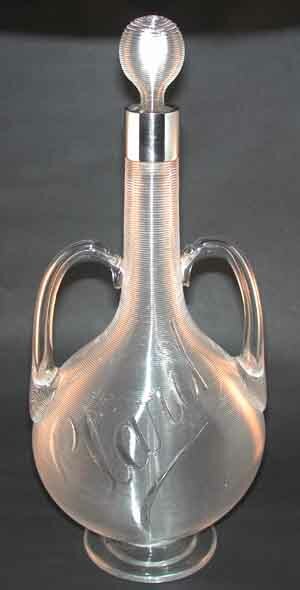 Acid etched mark to decanter. 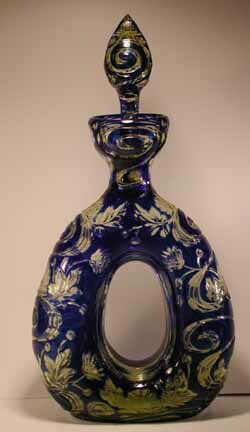 the body of dimpled form with machine threading, cut with flowers and leaves beneath a steep cut neck, the silver collar hallmarked for Heath & Middleton, Birmingham 1888, 17in 43cm tall. 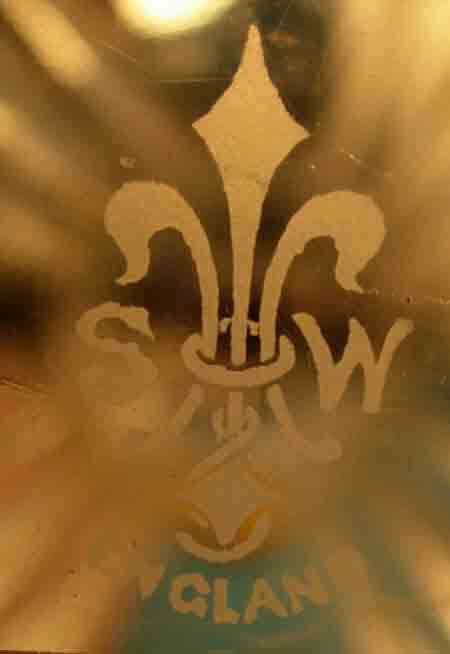 Detail of the hallmark for Heath & Middleton. 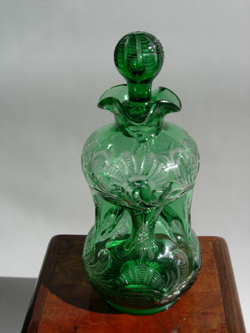 the hourglass form body green cut to clear, c 1885 6in (15cm) high approx. 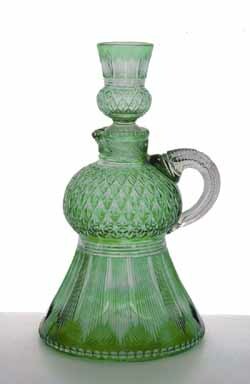 For details of this item and for further Claret Jugs see our page - Stevens & Williams Jugs & Vases - link at the top of this page. wheel cut by Joshua Hodgetts, of cobalt Blue cut through to pale yellow, circa 1895, 21 1/2in (32cm). 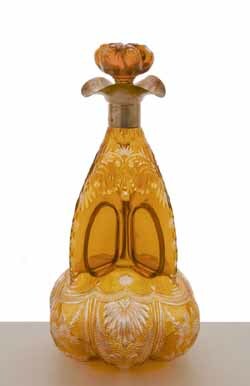 of tri-gourd form,the amber glass intaglio cut through to clear, English silver mount, c 1885, 11in (28cm) approx. 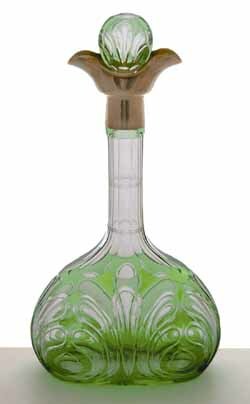 the green cut through to clear, mounted with an unusual Continental or American silver mount, c.1895, 14cm (36cm) high.